How do you define working in an explosive atmosphere? It’s an environment where there is a mix of potentially dangerous substances in the air, be they in the form of vapours, gases, dust or mist. If ignited, combustion could spread to the whole unburned mix in the air, causing an explosion. A significant number of workplaces undertake in activities that produce potentially explosive atmospheres. These could be places where activities create gases or vapours that are flammable, such as a vehicle paint spraying garage or a factory that handles organic dust, like flour or wood. Potentially explosive atmospheres occur when these mists or vapours mix with air. The amount of substance required to create this risk depends on the type of substance involved. These conditions can be found in food processing plants, pharmaceutical factories, power plants and chemical industries. Some industries might not be traditionally considered as potentially explosive, such as a sawmill for example. However, if large quantities of dust are left to accumulate, this then creates a risk of becoming potentially explosive. Such environments must ensure that safety and air quality monitoring are of the highest standards. For industries that require local exhaust ventilation components, like a Spiral Duct, visit Dust Spares. Whether the ventilation provided is natural or produced by mechanical means, either method must be effective in diluting the sources of release and removing them from any enclosed areas within the workplace. A thorough and well-designed ventilation system is likely to be required for zones of high concentration of hazardous substances or potential sites of release. 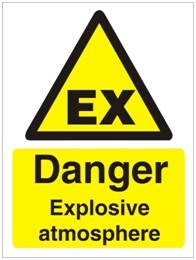 When carrying out a risk assessment, it is also essential to consider all of the possible sources of explosion risk that might be present in the workplace. These include the storage of waste products, cleaning materials and fuel, for example. It is also important to consider the danger of chemical reaction when certain substances are combined. This could result in a source of possible ignition being overlooked if this isn’t taken into account during an assessment. Other activities that could introduce a source of ignition include refuelling vehicles, the loading and unloading of tankers and any other activity where a spill could occur. In such areas, it is important to isolate the power source, such as switching off engines. 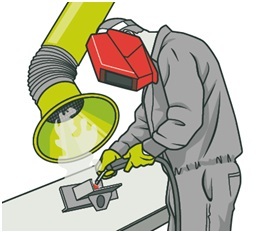 Maintenance activities can also introduce a source of ignition into a potentially hazardous environment. Ideally, the dangerous substance should be removed before any maintenance work is carried out. If specific control measures need to be put into place, this should all be assessed before any work is completed.